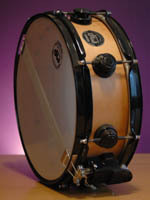 Beauty and this wee DW with a high natural pitch but lots of body. 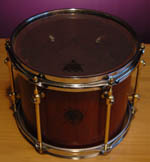 Cooktown Ironwood Solid Shell Drumset. 10, 12, 14, 20 in black lacquer. This is my second kit.